Drilling is one of the industries that exposes machines and their wear parts to some of the most abrasive conditions. However, the manufacturing industry has ensured that tools made for the drilling machine offer an equal resistance. That is why the use of tungsten carbide for the construction of auger teeth has remained popular in the market. One of the biggest reasons why manufacturers are using tungsten carbide material for auger teeth is the strength. The material offers incredibly high strength properties that make it perfect for hard conditions. With such properties, the auger teeth can greatly impact on your machine performance of they are used properly. 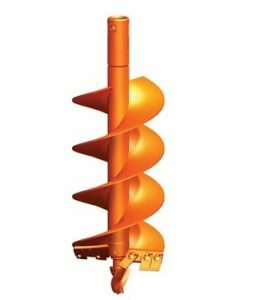 The hardness of auger teeth is another factor that you should consider while buying these tools. It is an important feature that enables cutter to tools to deliver incredible high performance even in the most demanding conditions. Tungsten carbide is best known for the high hardness properties that make a good choice for the auger teeth. One of the biggest problems in the drilling industries is dealing with the abrasion. With most of the drilling conditions being abrasive, then it becomes extremely difficult for the auger teeth to deliver to the peak. But with tungsten carbide, you can deal with this problem though not 100 per cent. Tungsten material offers high resistance to abrasive conditions making it perfect for drilling conditions. Another reason why tungsten carbide is popular in the machine tool manufacturing industry is due to its high wear resistance. Tool wear is one of the key problems that most contractors deal with. In fact, it is one of the reasons why the cost of operating drilling equipment very high. But with tungsten carbide, this will not be a major problem. Due to the hardness ad high strength of the material, it offers incredibly high wear resistance features. These are some of the key reasons why you contractors should invest in tungsten carbide auger teeth. With this kind of teeth, you will never have a major problem with wear and tear and abrasion. That means the cost of operating drilling equipment reduce significantly.